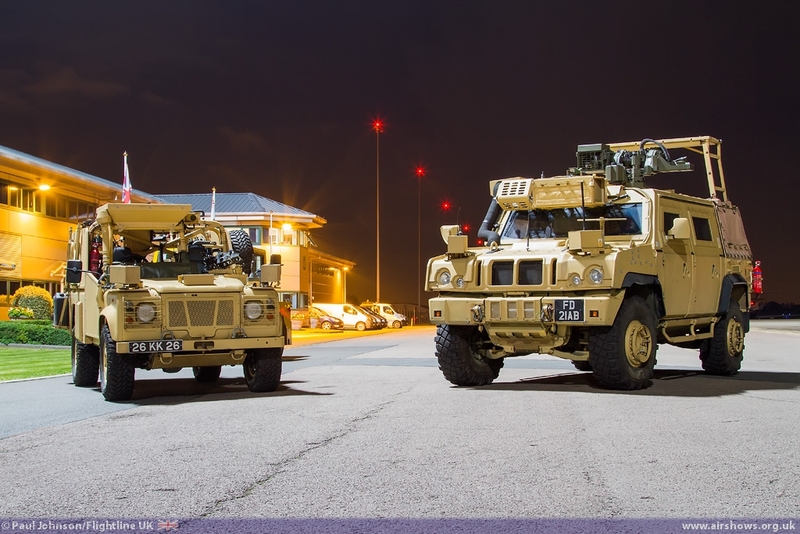 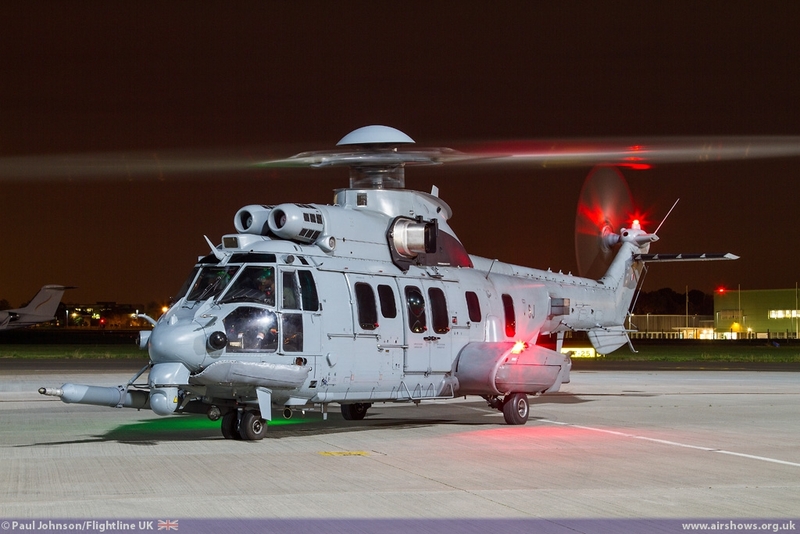 The second of RAF Northolt’s 2013 “Nightshoots” was held on the 17th October. 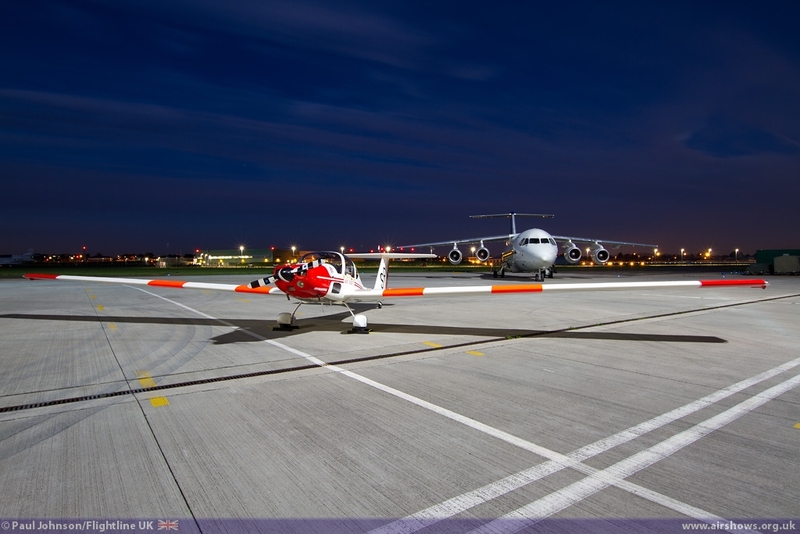 As ever, the event brought together an excellent array of rare aircraft underneath the powerful floodlights of the new hangar complex at the North London airfield. 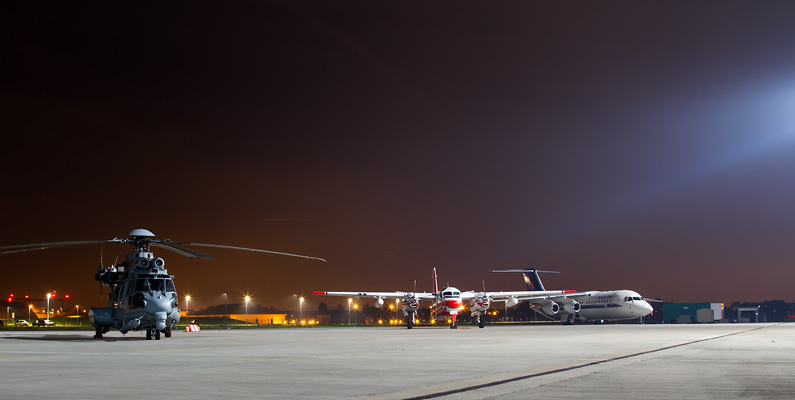 It was an event of “hellos” and “goodbyes” as some aircraft made their nightshoot debuts while others were making possibly their final ever public appearance. 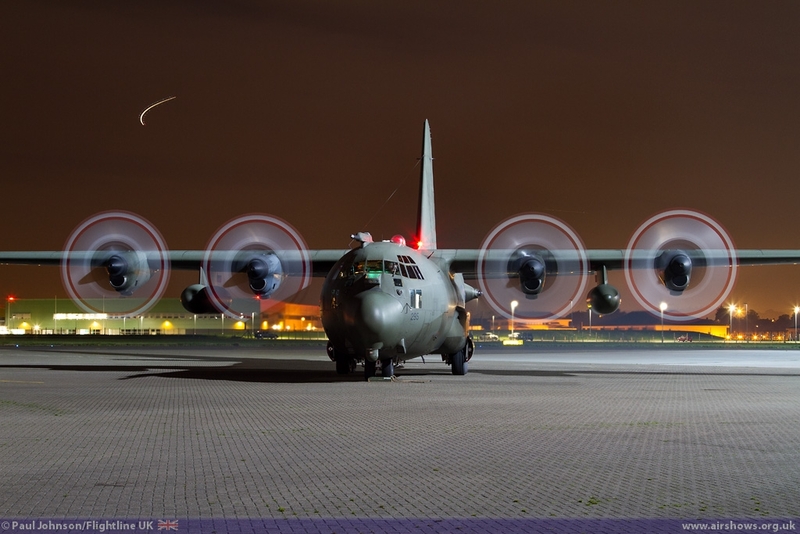 With the major UK air displays over for another year; it is time to look elsewhere for an aviation photography fix. 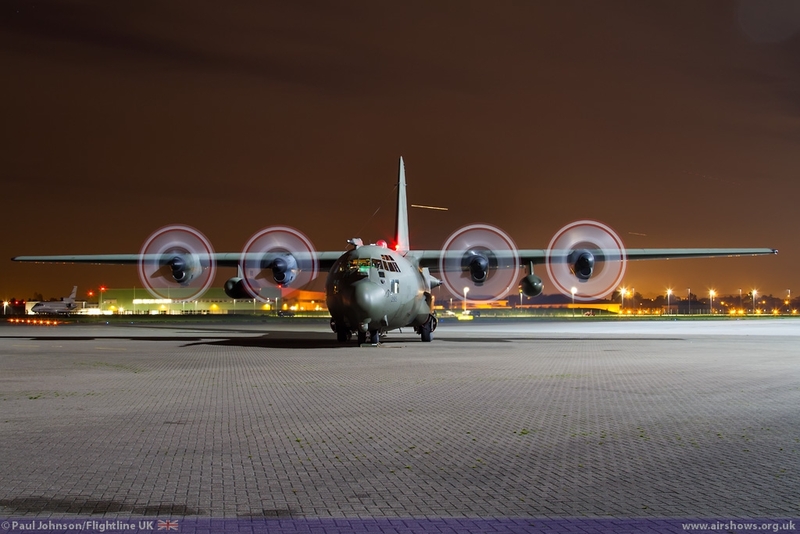 Amongst the best known aviation events are the RAF Northolt “Nightshoots” organised by Phillip Dawe and his small team and hosted by RAF Northolt. 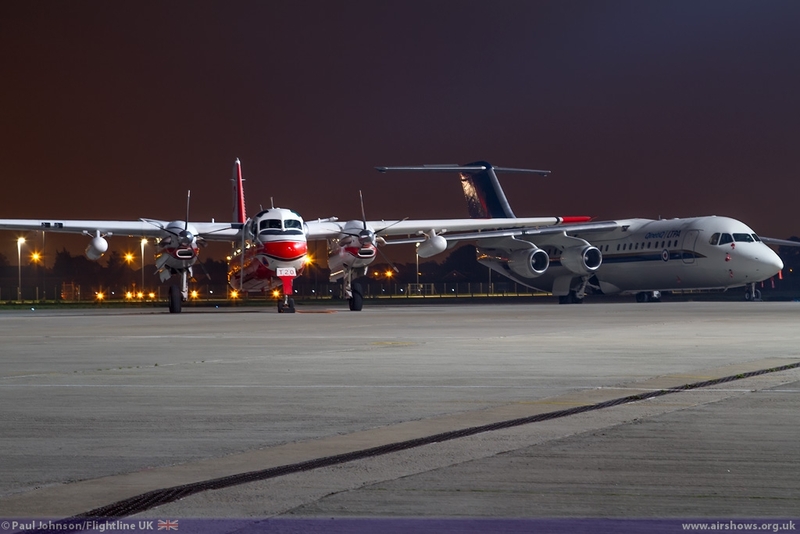 These events have grown in popularity significantly but remain amongst the friendliest of the year. 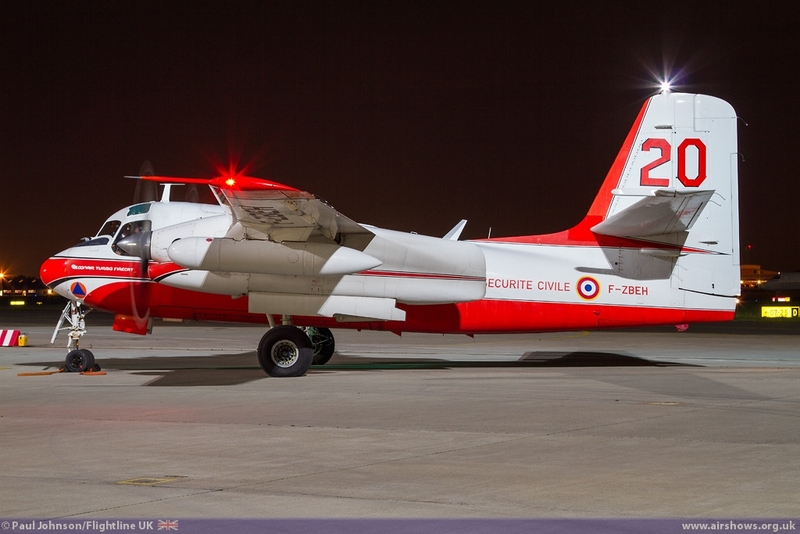 Recent “Nighshoots” have brought in some really wonderful aircraft such as the North American Tp86 Sabreliner from the Swedish Air Force and the French Securite Civile Conair TS-2A Turbo Firecat. 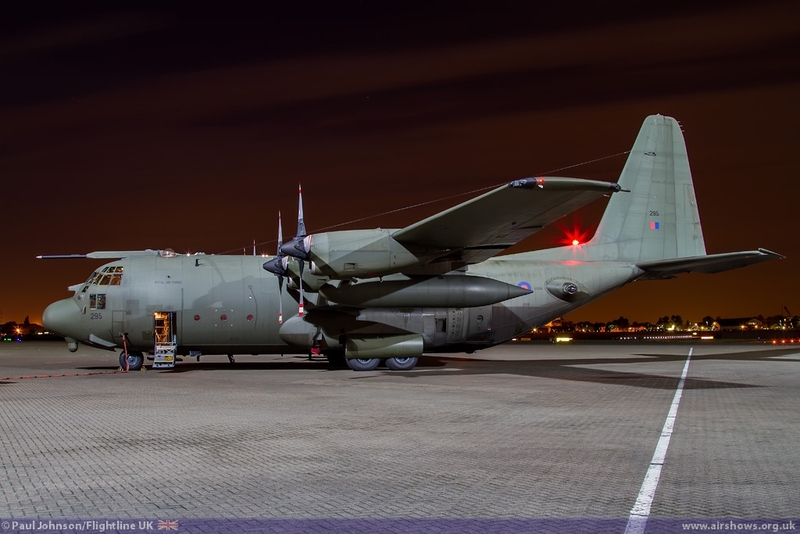 It was great to see an example of the latter return for this latest Nightshoot. 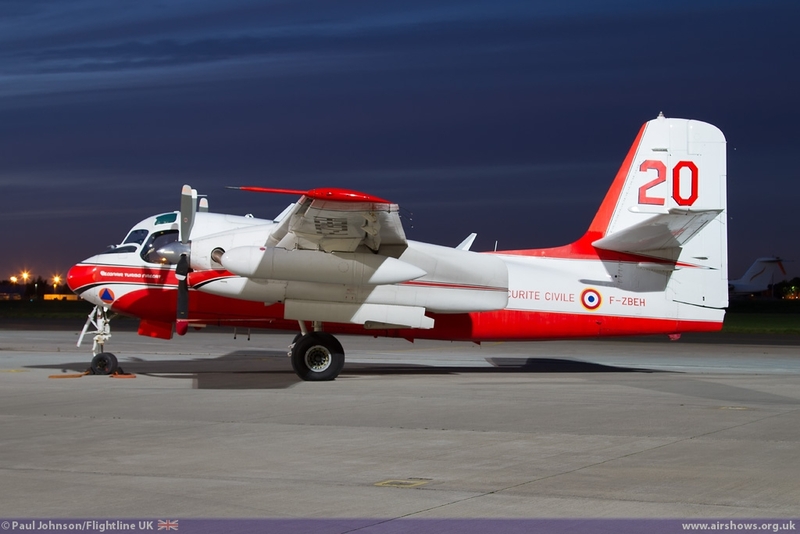 Based on the Grumman S-2 Tracker, these aircraft are used for fire-fighting duties in France and as such do not venture outside of France very often. 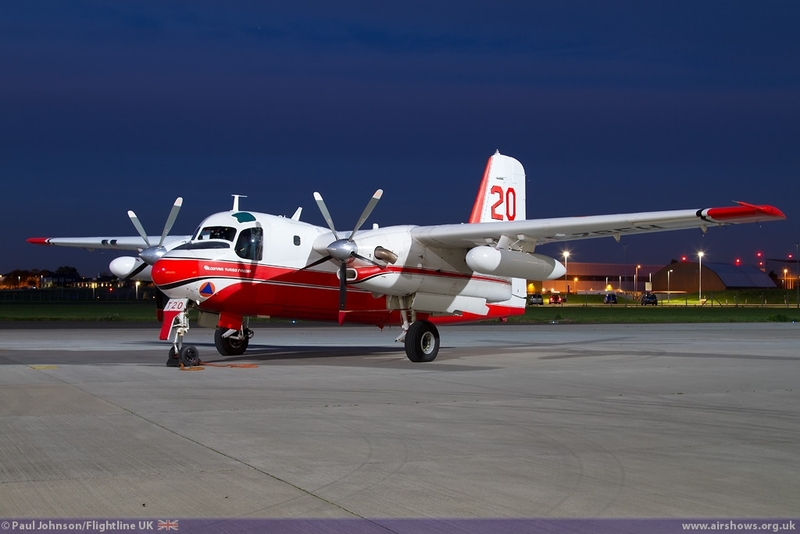 The Tracker was originally developed for the US Navy as a maritime patrol and utility aircraft and the Firecat conversion saw a Fire retardant tank replace the standard torpedo bay and the military equipment removed. 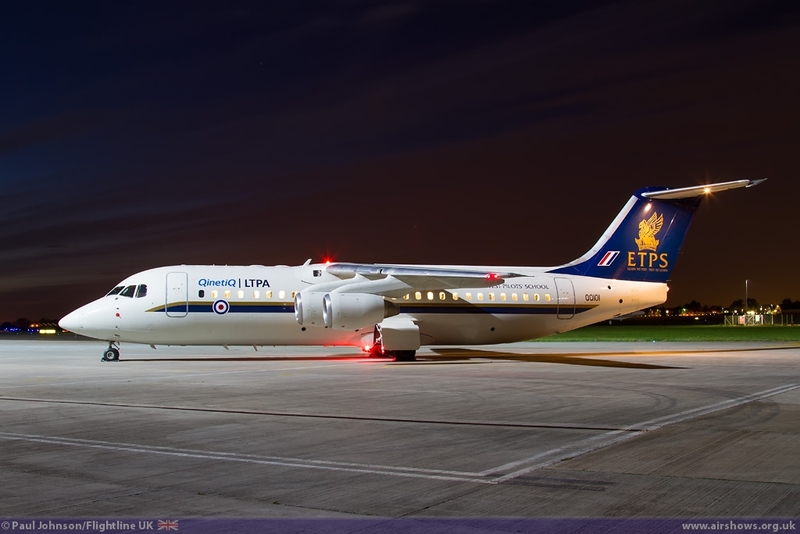 The aircraft are also re-engined with modern turboprops replacing the piston engines. 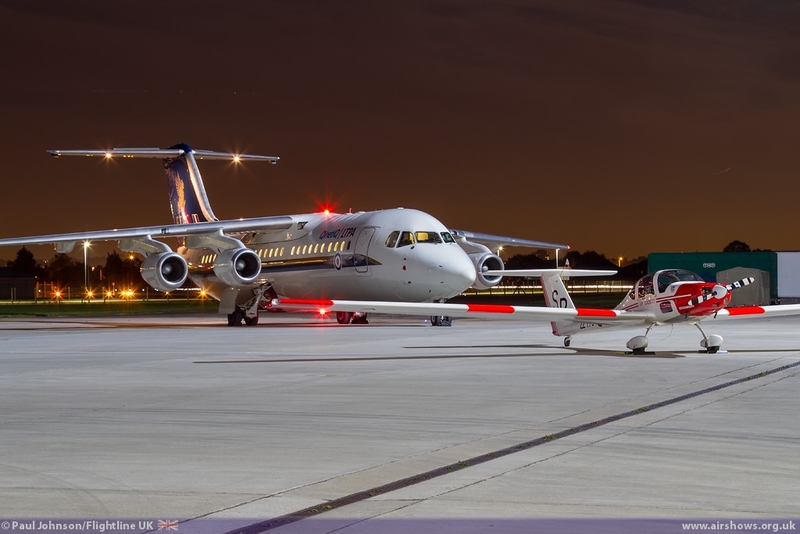 Like many of the aircraft attending this shoot, the crew ran up the engines for some ‘action’ shots against the night sky. 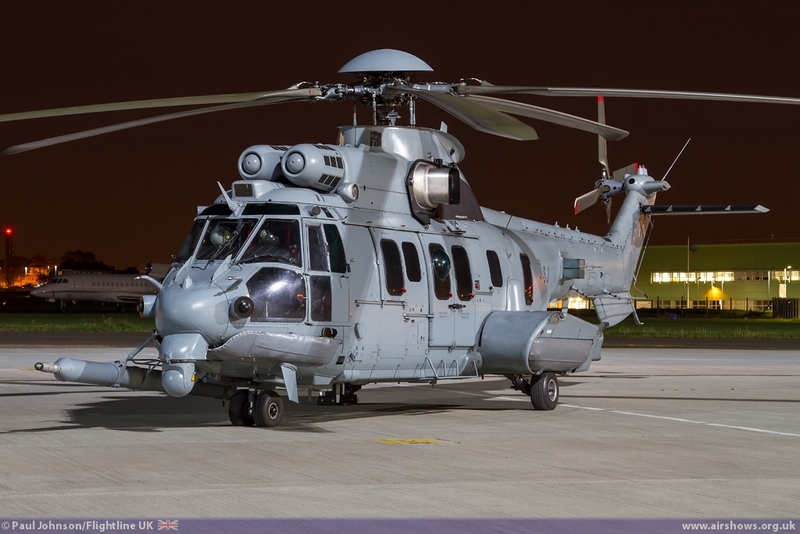 Also from France was the L’armee de l’air Eurocopter EC725 Caracal Combat Search and Rescue Helicopter. 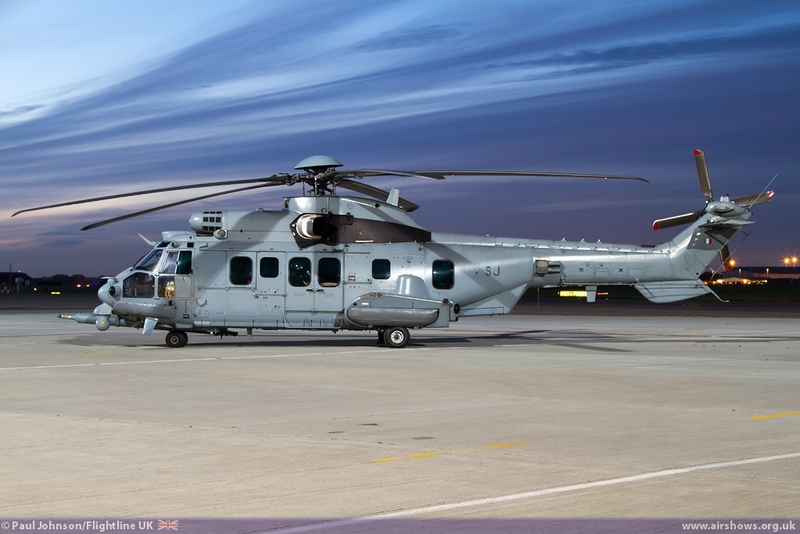 Developed from the Super Puma, the Caracal is an impressive helicopter featuring a glass cockpit, improved avionics and in the case of the CSAR version, an air-to-air refuelling probe. 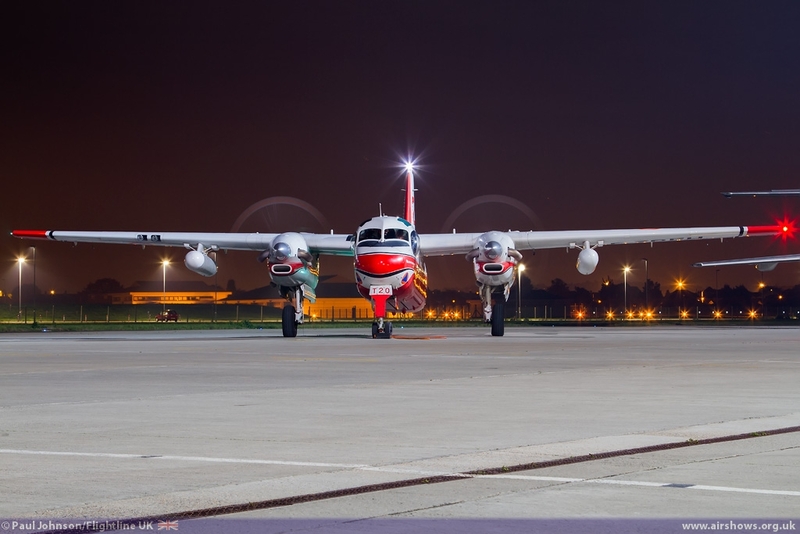 The Empire Test Pilots School have participated at a number of events during the summer celebrating their 70th Anniversary. 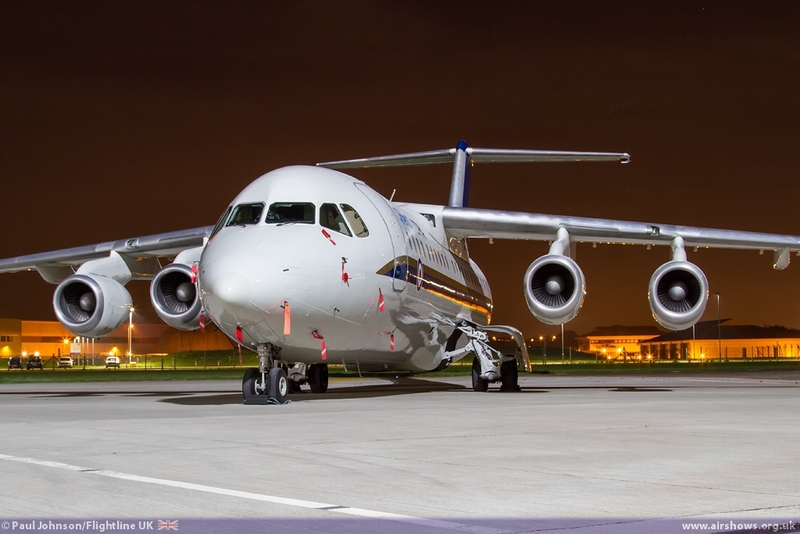 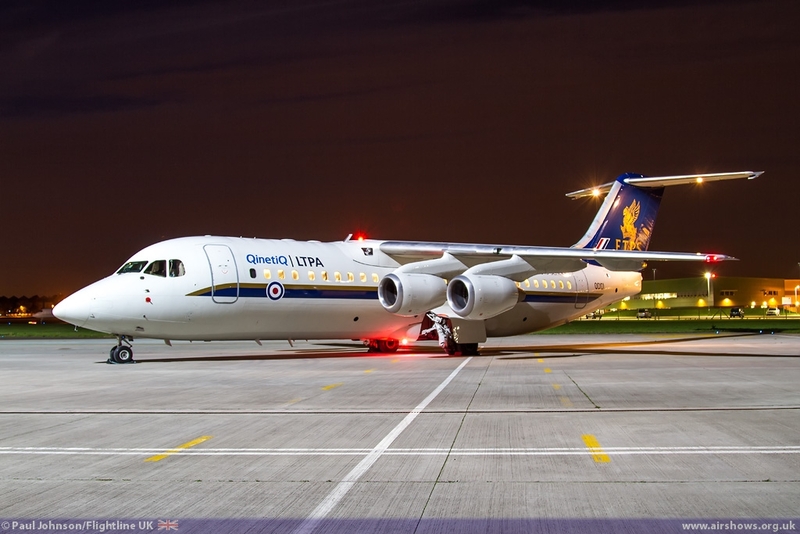 Their new BAE Systems Avro RJ100s have been popular additions to static parks in their new “corporate” schemes and it was great see one of them under the lights at Northolt with the navigation and internal cabin lights illuminated. 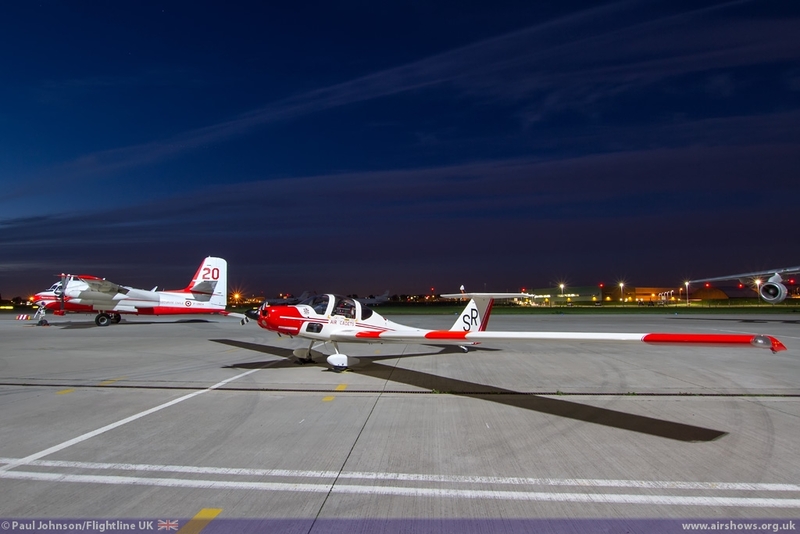 An unusual visitor to the event was a Grob Vigilant T1 from the RAF’s Central Gliding School. 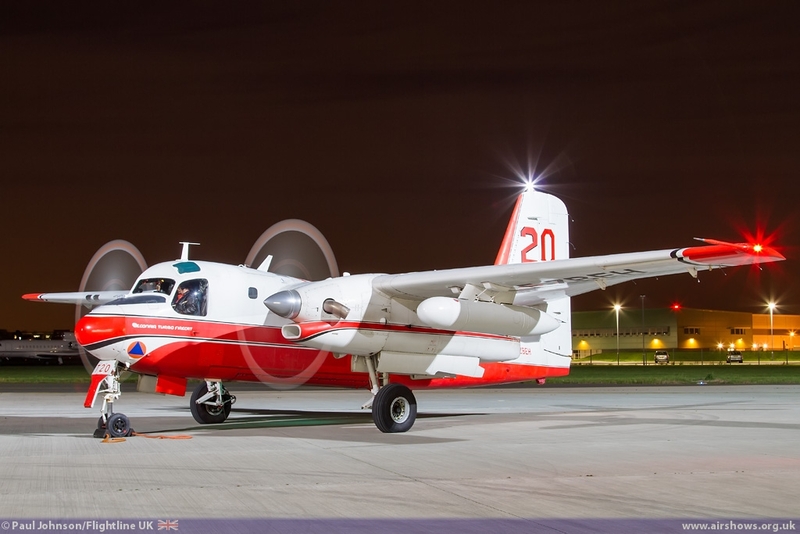 The Vigilant is actually a Grob 109 motor-glider and is used by the RAF to provide flying experience for the Air Cadets. 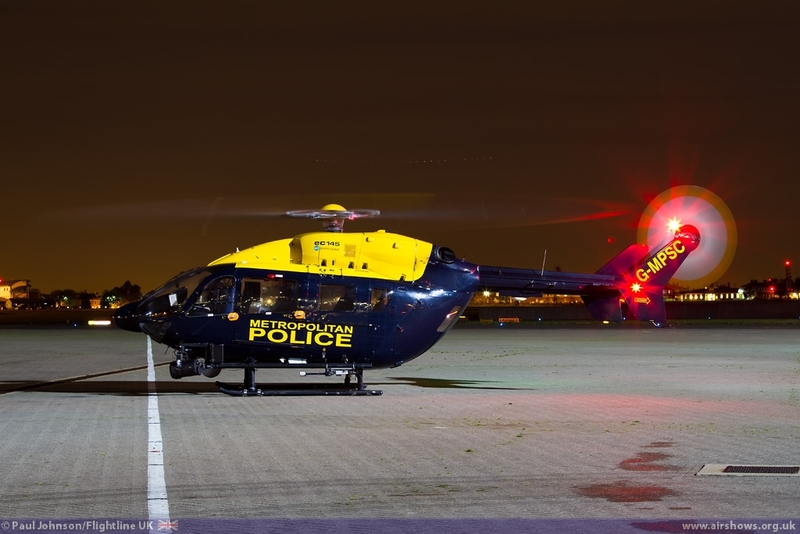 A regular at the Nightshoots is the Metropolitan Police Air Support Unit with its Eurocopter EC145 helicopter. 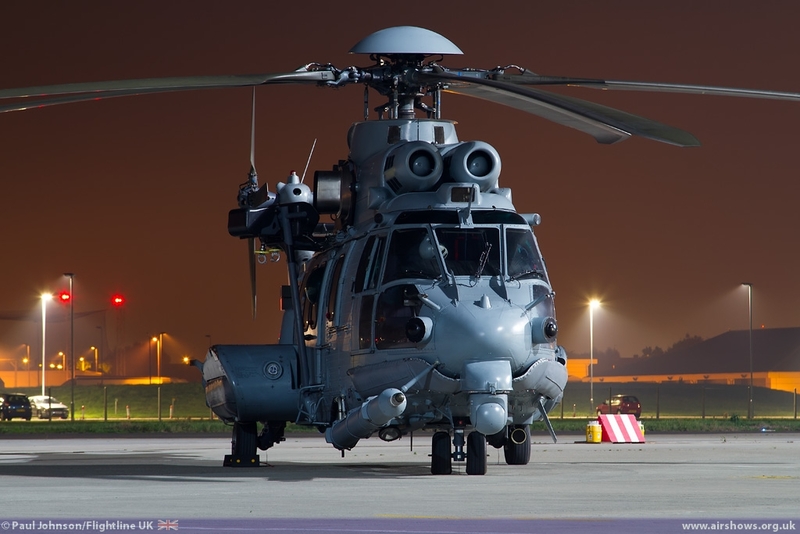 The ASU operates three helicopters is support of Police operations around the capital and often visit RAF Northolt. 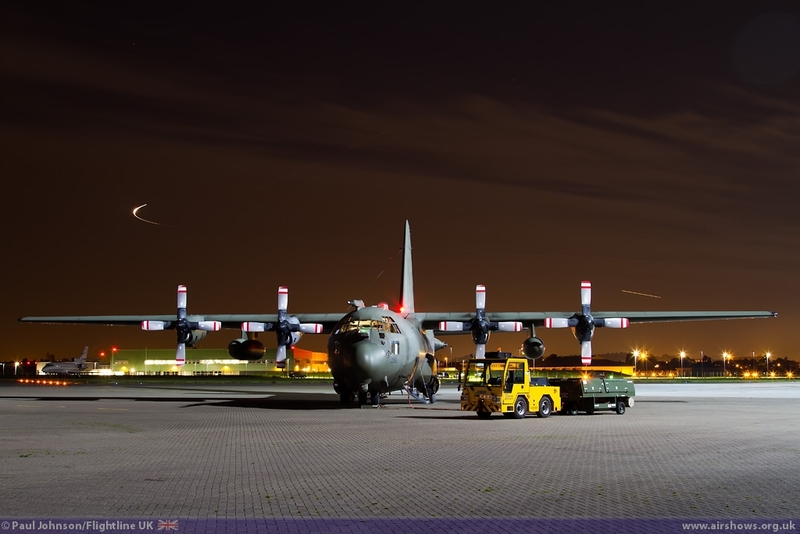 The star of the line-up was the Lockheed C-130K Hercules C1 from No 47 Squadron. 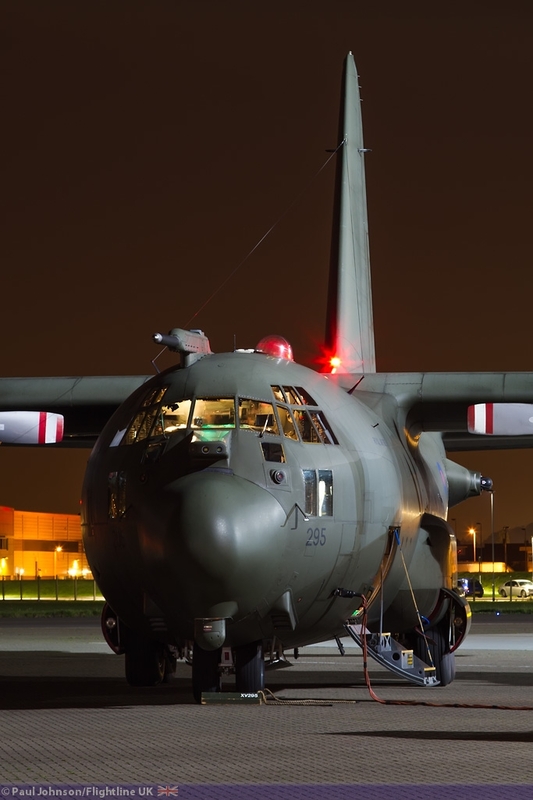 The C-130K entered service with the RAF in 1967 and since then has been the workhorse of the RAF’s transport fleet supporting everything from strategic transport to humanitarian relief missions. 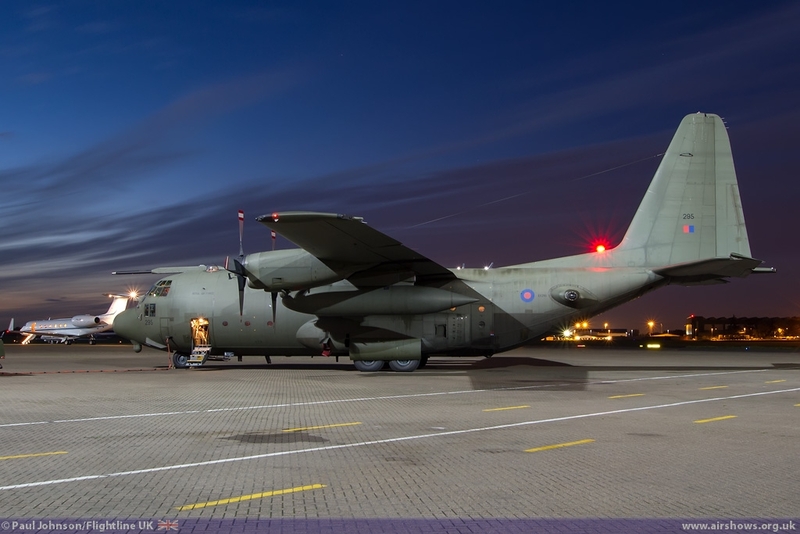 The ‘K variant started to be withdrawn in 1994 when the RAF received 25 C-130J Hercules C4/C5s as a stop gap ahead of the European Future Large Aircraft (FLA). 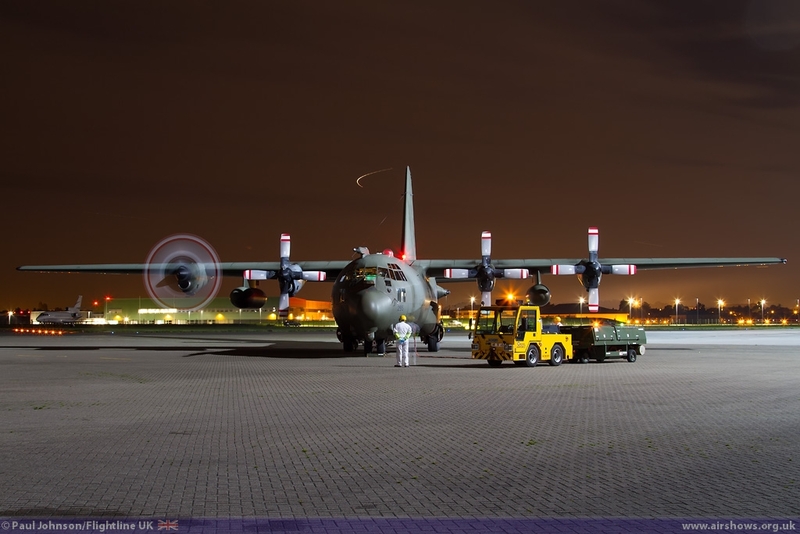 However, delays in the design and development phase of the FLA which eventually became the Airbus Military A400M Atlas have meant the C-130K has remained in service. 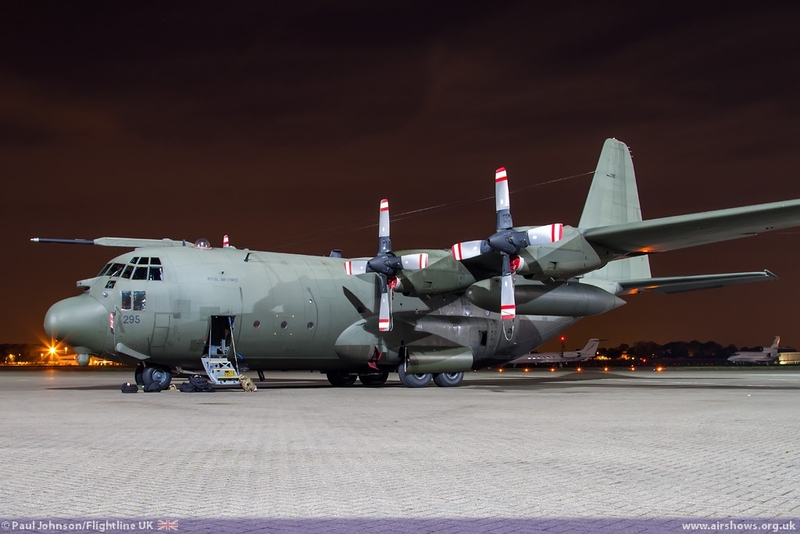 With the first A400M Atlas due at RAF Brize Norton next year, 47 Squadron is retiring its final C-130K Hercules aircraft at the end of the October 2013. 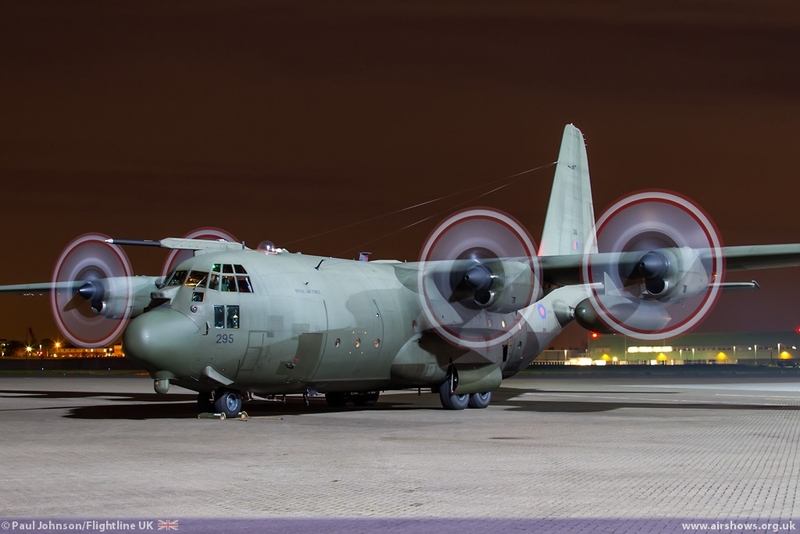 Their aircraft have supported the UK’s military Special Forces with their Hercules aircraft fitted with various sensors and defensive aids. 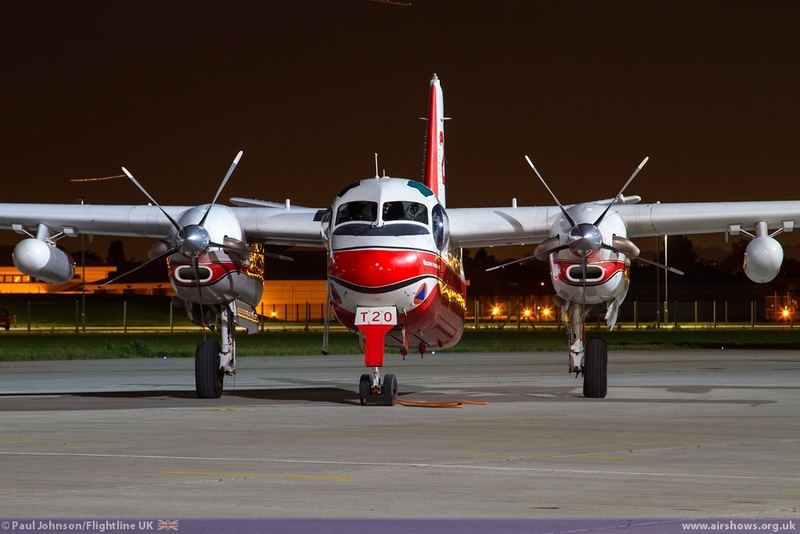 Northolt provided perhaps the last time one of these aircraft will be seen at a public event while in active RAF service and it was particularly nice to see the aircraft to perform an extended ground run expelling its characteristic black smoke across the floodlit apron. 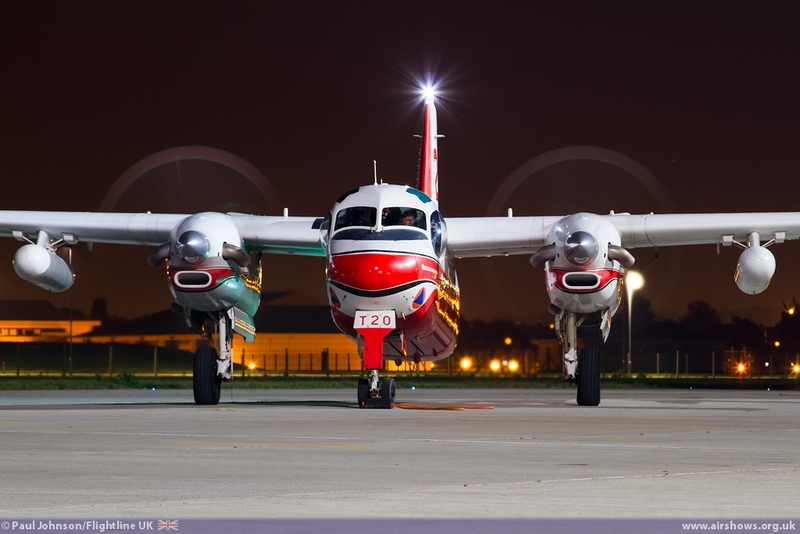 As ever thanks must go the Phillip Dawe who once again worked miracles to bring together the rare and interesting aircraft that make these events so special.